The Kentucky Labor Cabinet has announced plans to increase salaries, provide more training and buy more equipment for its occupational safety and health compliance officers. The changes come on the heels of an investigative series by the Kentucky Center for Investigative Reporting, the Ohio Valley ReSource and the Center for Public Integrity, which first publicly revealed the state’s program was under serious federal scrutiny. A federal audit, as well as KyCIR’s analysis, found that Kentucky’s Occupational Safety and Health agency (KY OSH) had failed to properly investigate nearly every worker fatality in a two-year period. Inspectors often didn’t interview eyewitnesses, missed worker safety violations and improperly blamed employees for their own deaths. In its official response to the audit released in August, state officials defended their investigations. But now, the Labor Cabinet has announced a series of changes intended to “raise the bar for our compliance officers and for this state,” Acting Labor Secretary David Dickerson said in a press release. Dickerson said in the release Wednesday evening that the Labor Cabinet has purchased equipment for inspectors, including voice recording devices and smartphones, and that KY OSH inspectors would see salaries increase starting February 1. The release didn’t specify how much the raises would be. Last week, KyCIR reported that Kentucky paid its safety and health compliance officers less than any of the surrounding states. While states like Tennessee, Indiana and North Carolina, had recently raised salaries to help with staff retention, Kentucky continued to lag significantly behind. In 2017, 63 percent of KY OSH inspectors had less than three years experience, according to the federal audit. Cabinet spokesperson Susan West did not respond to a request Thursday for additional information about how much salaries would be increasing. KyCIR found that Kentucky’s entry-level compliance officers make about $30,500 a year;Virginia’s salary for new compliance officers was the next-lowest in the region at $36,000. The Labor Cabinet also said in the announcement it will be providing additional training opportunities for inspectors. The federal audit found that supervisors were recommending their staff get training, but not actually sending them to the federal programs. This week, 21 KY OSH inspectors did a three-day federal training in “investigative interview techniques.” Inspectors were taught to interview witnesses, develop direct questions and glean relevant information, according to the press release. As the federal audit pointed out, in 2017, only two inspectors had attended the federally-mandated training. Miller’s husband, Justin, was electrocuted to death while working as a tree trimmer in Breathitt County in 2016. He was 23, and the couple was expecting their second child. 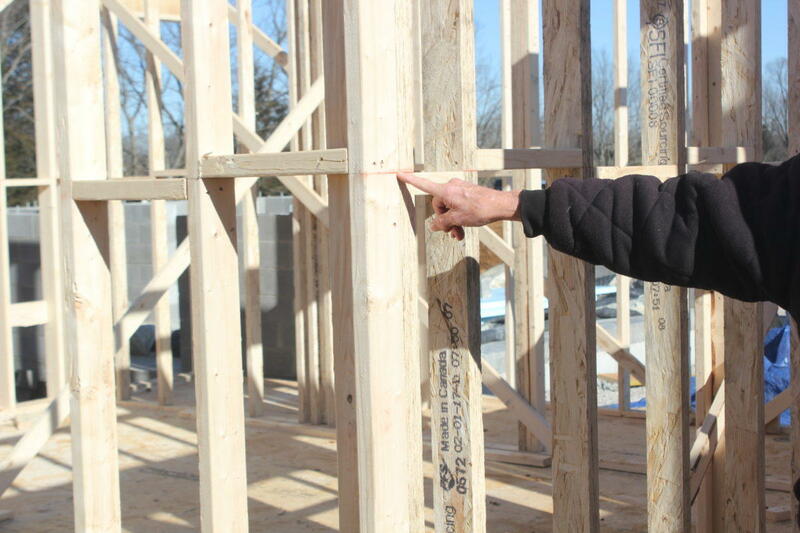 A KY OSH inspector didn’t issue Justin Miller’s employer any violations, though a later federal review found that the state should have issued two citations for safety issues. In his statement, Dickerson seemed to agree. Grant Oakley’s second day of work was the last day of his life. Seventeen, sandy-haired and tall, Grant liked to fish, tinker with motorcycles with his father, Mike, and play tuba in the school marching band. He was excited in the fall of 2015 when he landed his first part-time job at a farm supply business. The location was convenient; Bluegrass Agricultural Distributors was just across the highway from the Oakley family’s farmhouse near Lancaster, Kentucky, in rural Garrard County. It was the first day of harvest at Swift Farms in Murray, Kentucky, and Derek couldn’t wait to get to the corn fields. Glisson remembers it feeling like the hottest day of the year. It was a Monday, she said. “He looked forward to it. I remember him getting in the shower. And then after that...” Her voice trails off. She remembers that the phone rang. It was her brother. Derek had been hurt. Before Glisson or any of the emergency responders could get to the farm, it was too late. Hear Nicole's report on the impact farm accidents are having on our region. A new partnership between WKU and EKU will make it easier for workers in the Bowling Green and Owensboro areas to receive OSHA certification. EKU houses the only OSHA Training Institute Education Center in Kentucky. But under an agreement between the two schools, EKU personnel will lead OSHA training courses at the Knicely Conference Center in Bowling Green, and at the WKU-Owensboro campus. Dr. Sue Parrigin, with WKU’s Career and Workforce Development office, says the idea is to expand the number of individuals in the region who can lead OSHA training classes. During 2013-14, EKU’s OSHA Training Center enrolled more than 1,800 students in classes taught in Richmond and Louisville. EKU authorized outreach trainers led 820 classes for more than 9,000 10 and 30-hour OSHA certification.